DOING GOOD PODCAST VIBES ARE NOW ON NATIONAL RADIO! 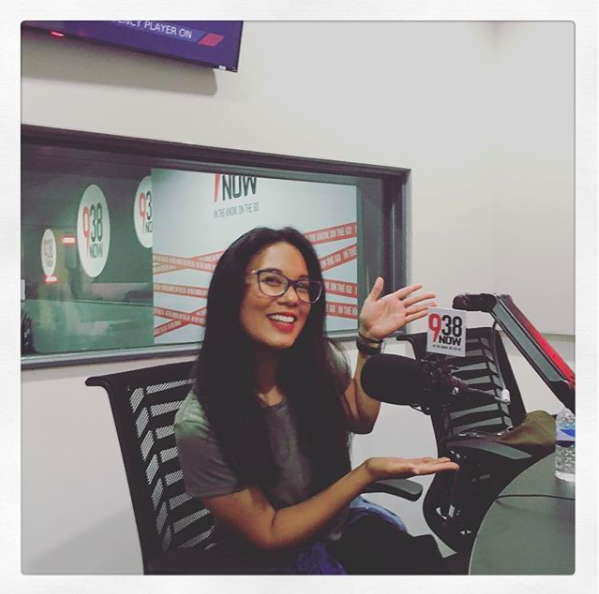 Every Tuesday at 6:50pm & 8:50pm GMT +8, Singapore National radio station, 938Now will be airing Doing Good Tuesday's with Amra Naidoo - your weekly dose of good news and tips so everyone can do a little more good in their lives. Not in Singapore? No worries! The show can be streamed live from the 938Now website on Toggle. How do you live on spending just $8 on food in a year? We spoke with Daniel Tay, Co Founder of SG Food Rescue on #foodwaste, #freeganism, #dumpsterdiving and more! Together, we find out how we can all start reducing food waste today. Meet Emilie and Amirul from Gone Adventurin! We chat about #foodwastein #Singapore and the impact of their most recent event #FeedingThe5000Singapore. Have you heard about Richard Akoto an IT teacher in Ghana who teaches computer lessons…without a computer! So, he decides to DRAW a computer onto the blackboard for his lessons! It has caught worldwide attention and Microsoft has now stepped in to help! Charlotte Mei and I spoke with Gaurav Gupta, Project Director of UNLEASH. Find out what the 1000 participants at #UNLEASHLAB2018 will be getting up to during their time in #Singapore and why UNLEASH believe that more needs to be invested in young people as solution creators. We caught up with Ken Chua, Founder of Theseabilities about using design and technology to create awesome change for people with disabilities. Ken tells about the principles of inclusive design and how this can can be applied to all kinds of design. Amra shares with Charlotte Mei her experience at the Money20/20 Payments Race and how she did her part to Do Good along the way!